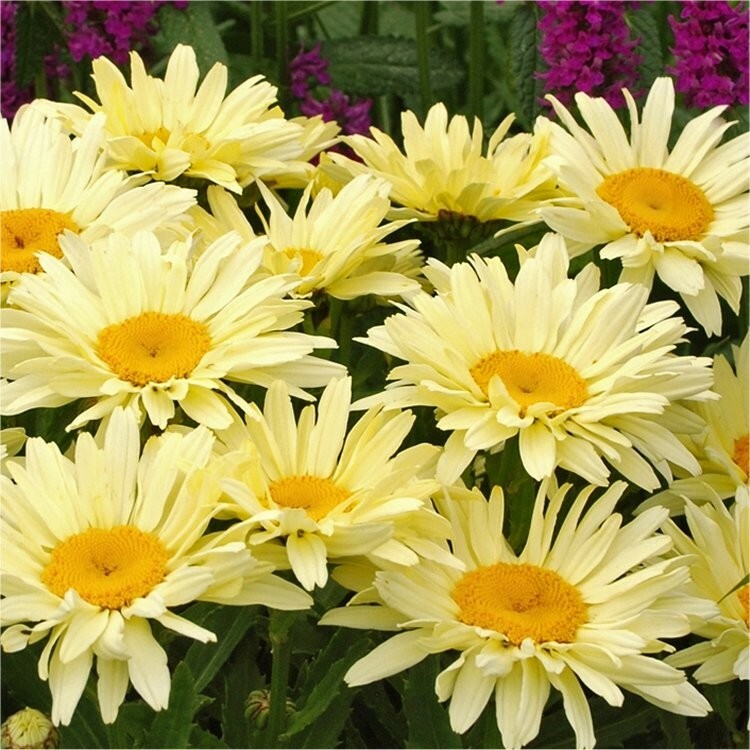 Shasta Daisy Banana Cream is a lovely variety, recently introduced with large flowers that open bright yellow, these lighten to a soft butter shade, then turn creamy white when mature. 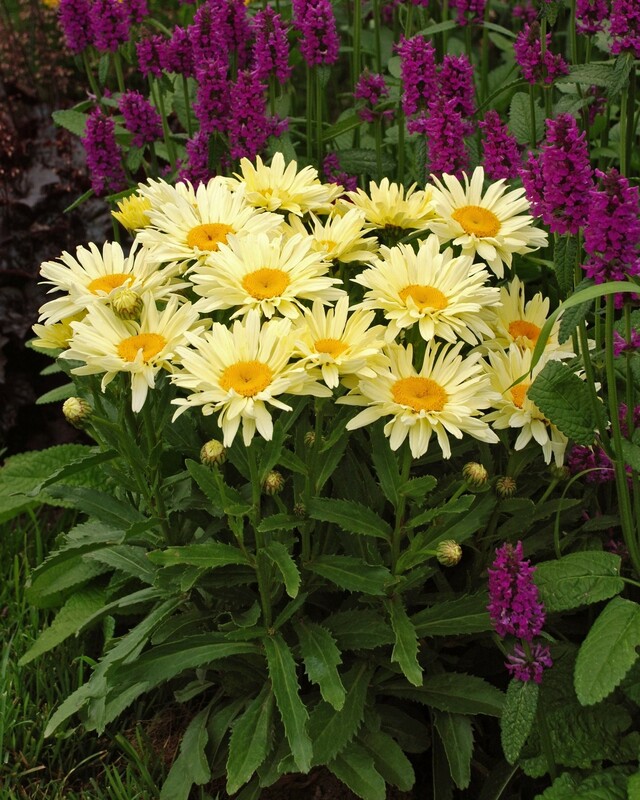 Banana Cream is a profuse bloomer, the plants are constantly covered with blooms in three different colours from late spring to early summer. Enjoy more bloom in late summer if early blooms are deadheaded. An easy going plant, that needs no special skills to grow. 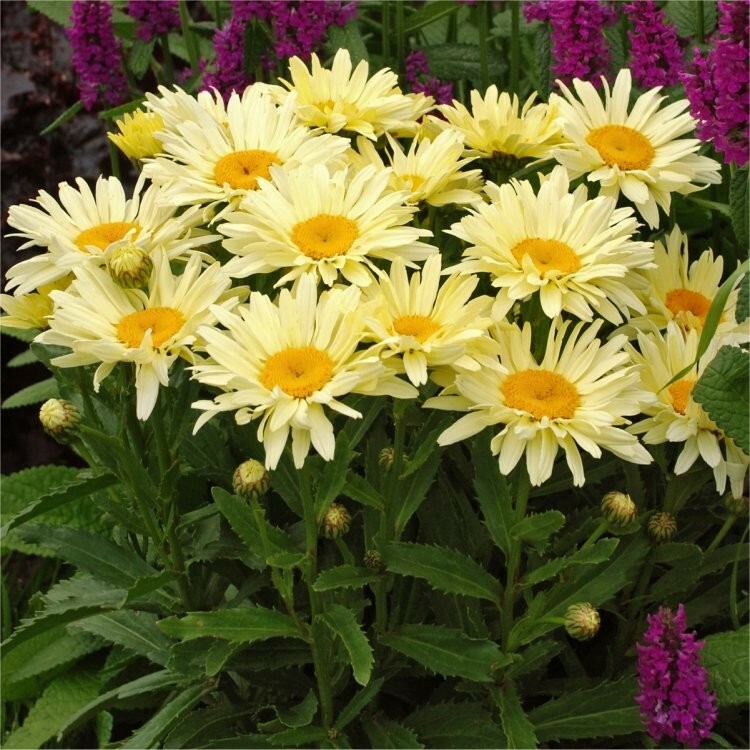 Supplied in approx 2-3 litre containers, fully of buds and blooms in season.